I also took a long drive, seeking new subjects. Sometimes, you encounter something in an unexpected location. On several occasions in the past I have made trips or side trips seeking Cassin's Finches. At the Summerland Gardens, I did catch a glimpse of a female and other other occasions heard them high up in trees, but did not see them. Still another time, I was in southern Nevada driving north and I browsed eBird one night. 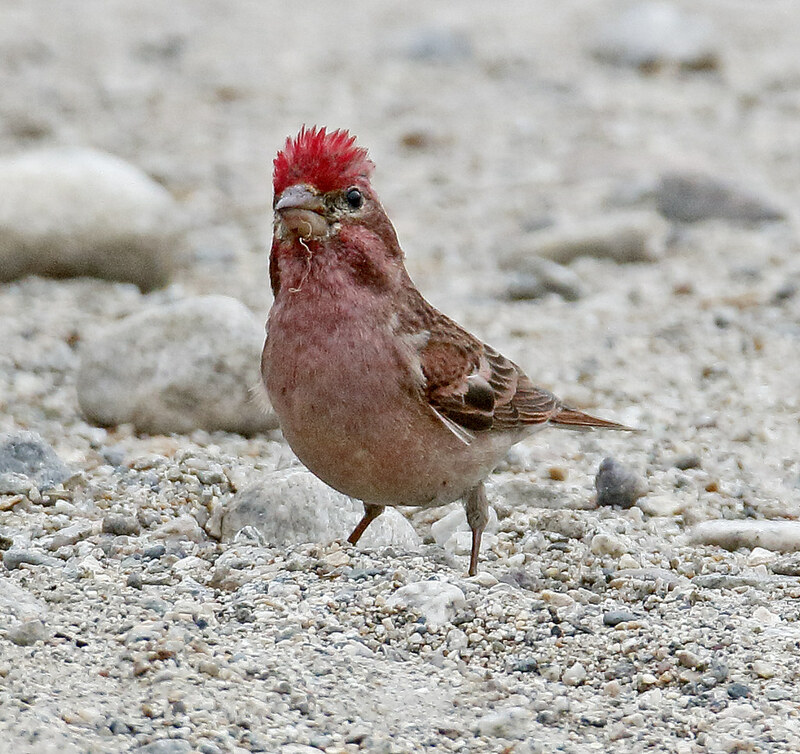 I noticed a park SE of Reno at which were reported WH Woodpeckers and also Cassin's Finches. So I made a side trip and saw neither bird, but did hear the Cassin's. Similarly a few days later, I drove another gravel road and unexpectantly came upon some ponds beside the road. In this case I noticed some Eared Grebes swimming about on the side of the road where I had to look sunward in early light. Moreover, shadows from nearby shrubs gave cover to the birds. I noticed that one of the Grebes seemed larger than the other. Then I became interested and pulled out the big camera. More serendipity. I loved your comment on that last shot " I noticed that one of the Grebes seemed larger than the other. " What a wonderful surprise and an amazing image, congratulations on your serendipity! Congratulations!!! What neat shots!!! 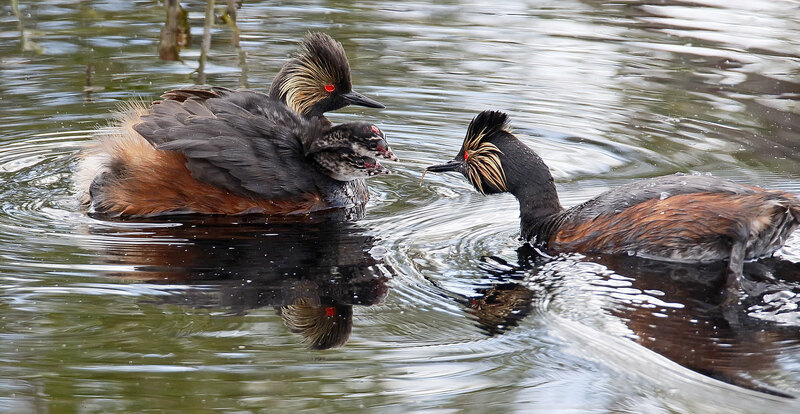 Love the grebes!! Good on you!